A beautiful online shop to promote and sell the exclusive womenswear designer’s range of high-end, tailor-made clothing. Rag & Doll is a luxury womenswear brand who design and create bespoke, versatile pieces for a fashion-forward clientele looking to stand out from the crowd in show-stopping garments. 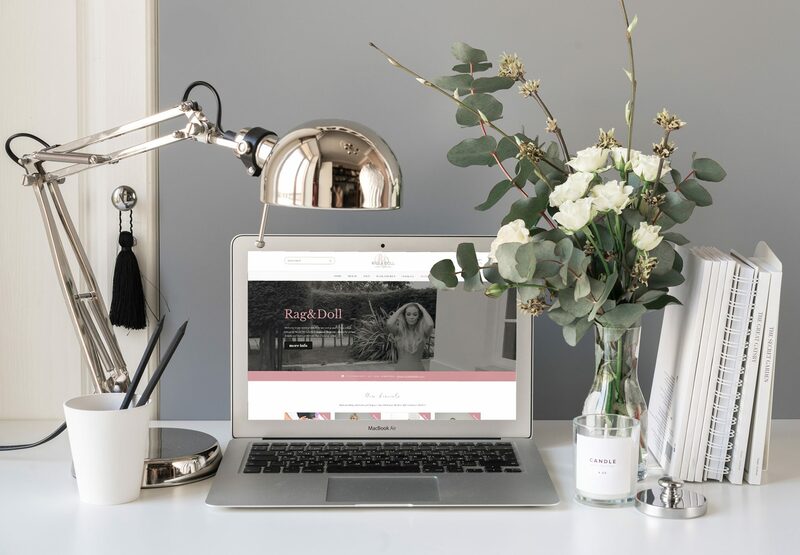 The client approached Hush as they were undergoing a transformation with new-look branding, which was the perfect time to redevelop the website into a fully-fledged online shop to sell their stunning range of made-to-order clothing. Hush delivered a new website that encompassed all of the client’s eCommerce needs, from product variant options to discount codes and wish lists, as well as other key features including an engaging #RAGANDDOLL page to showcase real-life customers and links to the products worn. The new website has given the luxury brand a platform to continue to grow and expand its product offering, with Mini Doll and R&D Beach Club ranges launching in 2018 and 2019 seasons respectively.